The product is handmade using the finest active botanicals, fresh flowers, herbs, spices & pure essential oils. There are no added chemicals and preservatives. The entire process including the packaging is eco friendly. 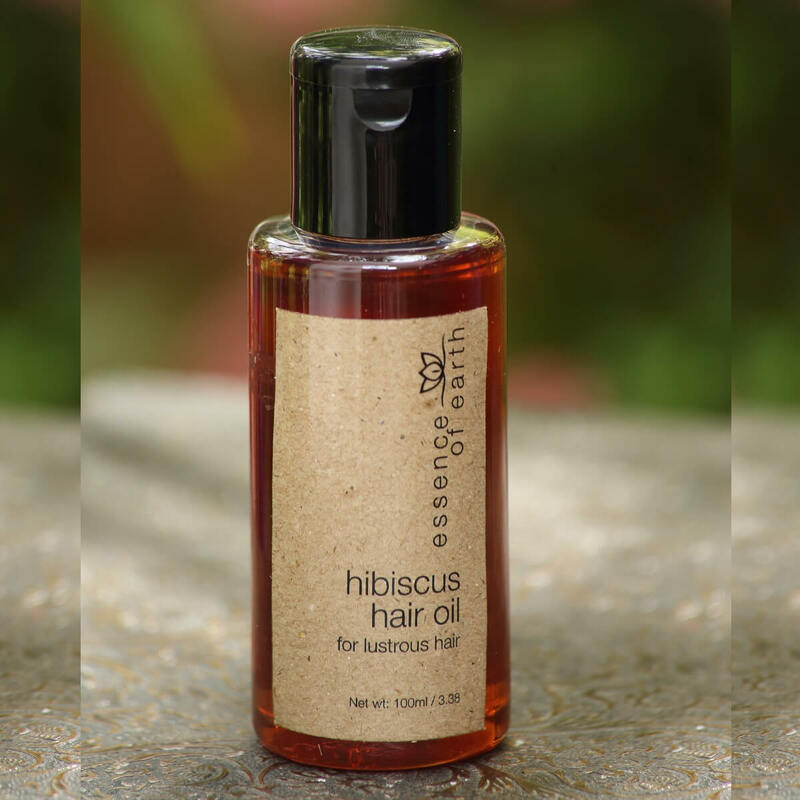 Hibiscus extract has been used in Ayurveda since ancient times to tackle hair fall and dandruff. This oil is enriched with hibiscus flowers, vetiver, neem, and extract of ten herbs to promote lustrous and glossy hair growth. It also helps in controlling dandruff. Regular use will promote hair growth and make the hair lustrous and glossy hair growth. Hibiscus extract, herbal extract, coconut oil and sesame oil. Warm the oil and apply on the scalp, massage gently and keep overnight or wash after an hour. Use twice a week.